The 1st National Workshop on Rules & Regulations of Floorball for Coaches held on dated. 29th September to 2nd November-2006 at New Delhi organised by the Floorball Assocaition of Delhi-FAD under the auspices of Floorball Federation of India (FFI). the following below coaches has been qualiified for two years with the mentioned below Grade. 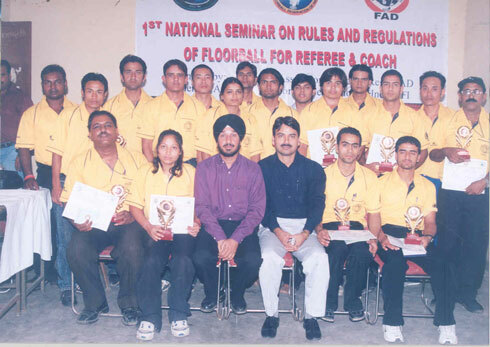 The 1st National Workshop on Rules & Regulations of Floorball for Referees held on dated. 29th September to 2nd November-2006 at New Delhi organised by the Floorball Assocaition of Delhi-FAD under the auspices of Floorball Federation of India (FFI). the following below Referees has been qualiified for two years with the mentioned below Grade.